Searching for best social media marketing plan? Here it is! explainedin the most simple manner. This is the era of internet and everything is now being done online may it be education, job, business, marketing, etc. Social media plays an important role in everyone’s life. Every person is now aware of social media and everyone uses social media websites. You can find millions of active social media users. That’s why SMM is so successful now. A successful marketing is when you are able to reach maximum of your target audiences and that too those people who are active and responsive. Every business is now doing social media marketing because businesses know how important and successful social media marketing is. Here’s some useful information about what exactly social media marketing is. It is one of the ways of marketing and promoting your brand online through the social media websites like Facebook, Twitter, Instagram, etc. Businesses make their accounts on these websites and actively promote their brand, services and products using different statuses, posts, pictures, offers, and so on. Setting your goals and objective is extremely important not just in the case of social media marketing or businesses but in every step of life. You must set your goals professionally keeping your interests and career in mind and also you should set some goals for your personal life. This helps you a lot in focusing on what actually you want and keeps you away from going to the wrong direction. You must know what you want to achieve after implementing your ideas and plans. You need to conduct a small research, this will be evaluation part one where you will have to find out about your current presence on social media, you need to know how many people are aware about your brand currently, you need to know how much people are talking about your brand on social media, you need to know whether your brand even exists on social media or not. 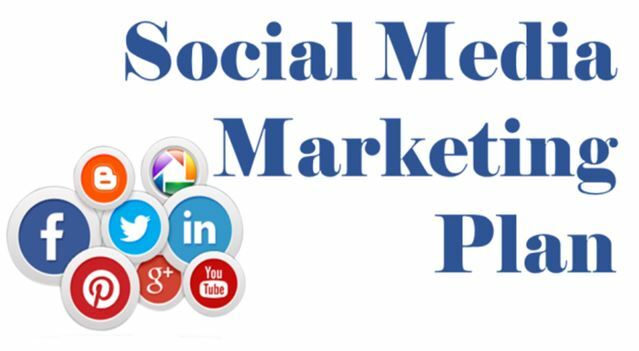 This stage of marketing plan will help you in sorting all the other stages of making a social media marketing plan. This is yet another part of your research. Save all the examples that you find very interesting and relevant to your brand you can then get some inspiration from these marketing ideas and plan and adapt it on your social media marketing plan but this doesn’t mean that you copy and steal they ideas, this is not accepted at all. Get in inspiration from other social media marketing plan but then come up with something original. You can get help from assignment writers too as they write several assignments on social media marketing daily. After all the research and evaluation start making your business accounts on social media websites, don’t waste your time by making an account on every single social media website. Just pick the top and famous websites from where you can get the maximum response and create accounts on only those websites in the starting, then later with time you can add more accounts. Content calendar which is also called a CC is very helpful and is one of the professional ways of managing digital accounts. Hire someone to make a monthly content calendar having the details of the entire monthly marketing plan consisting of the posts that have to be uploaded, the types of posts, and the dates of posting and so on. This will help you to stay on the track. Make sure once you make the content calendar you also follow that strictly or else you will end up wasting time and you will also have to face problems due to mismanagement. Content calendar helps a lot in managing your social media marketing plan. Whatever you have done and whatever you are doing make sure to keep the track of all those activities. Evaluate whether the things are going according to the plan or not, evaluate if the content calendar is even working or not, get to know if your brand is now present on various social media websites and find out if the social media marketing plan that you have worked on is working or not. If you feel anything that is not working or that shouldn’t be there then change it, replace it or slightly tweak it to make it work the next month. Author Bio: Professional academic writer Sofia Watson is the write of this blog. Sofia works as an expert bloggers for many websites, including the Quick Assignment Help and her blogs are very famous in online market.